Also featured are part of my gcn bridge and the spectrum analyzer made by Michael Vincent. So, post some pictures of what you've got! I don't own any calculators. Here's my smallish collection, the 82 & 85 were only recently added. And maybe soon a CX CAS, as my school apparently requires one next year. @KermM: How and where did you get so many?!?!? 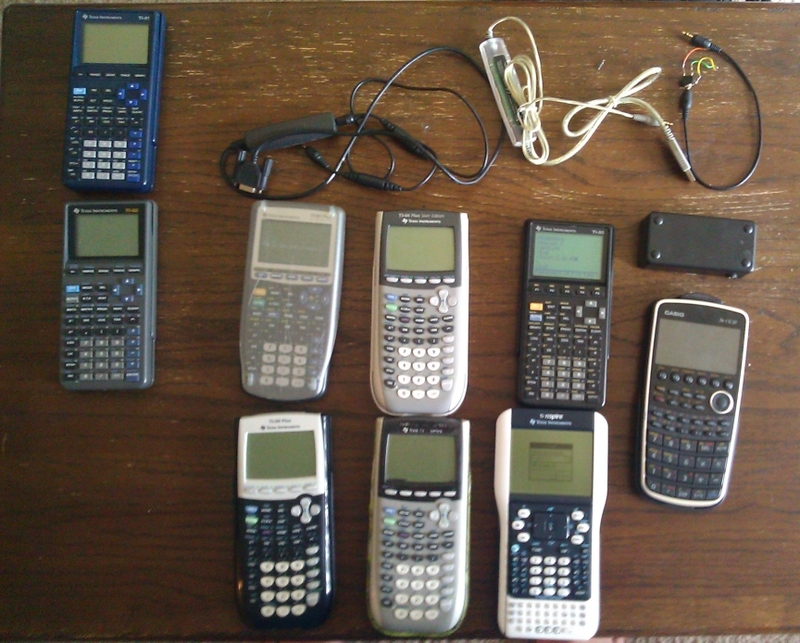 On the left is a standard Casio fx-991W (my first calc ever ) and the right is a Ti-84+SE. Awesome collection Kerm. Glad you could get an hand on the Classpad and TI-76.Fr models. Are you planning to get one of the original color screen Casio models from 1995-2003 and the FX-9860G at one point? Wow. How much did you spend on those, Kerm? Liquid: Probably around $300 to $400 total. DJ_O: I'd love to have that old three-color Casio; I always loved it bac a decade and a half ago when they stocked it in my local Staples. Link: It's a good start. That is only $11 per calculator?! Hope to get a Casio Prizm someday. @Kerm: You are hereby sued for my back and spine injury I got after fainting. 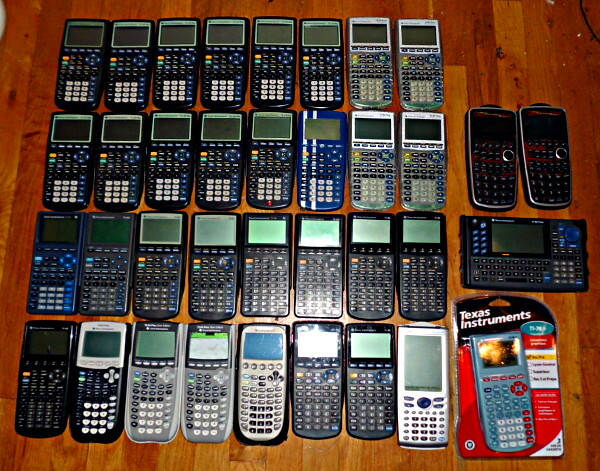 @Kerm: Where is your Ultimate Calculator 1? Some were given to me by friends, most were purchased broken and fixed, a few were bought at full price, new. Let's say more like $500. And still, Kerm, where is your Ultimate Calculator 1? I got the 82 from a local thrift store. I got the 83 from another local thrift store. I got the 85 from a yard sale. I got the cheap 83+SE on eBay. You see, it said "For parts or not working", so it was cheap, so nobody else got it and I got it. When I received it in the mail, it worked just fine. It really isn't a recommendation to say "For parts or not working". The $40 one and the $50 I bought on eBay, for both sacrificing a little cosmetic niceness. Out of curiosity, are those chains of thrift stores, like Salvation Army or Goodwill, or local non-chain thrift stores? I keep my eyes open on the local chains, but I never seem to see calculators. Definitely local! The one I got my 83 from was S&J Thrift, and it was liquidating for shutting down! So, as I have said in many other places, it was 75% off that day for items from behind the counter. If it wasn't from behind the counter, it was FREE. The 82 came from our local Gleaners' thrift store. And it is true, one seldom sees calculators at these places; when they're there, they're there. However, finding an 82 or 83 is more likely than finding an 83+ or 84+! I have seen these 3 colour ones before. Do you think that it would be possible to use the 3 colour facility to create a stereoscopic image? © Copyright 2000-2019 Cemetech & Christopher Mitchell :: Page Execution Time: 0.142141 seconds.